I’ll be frank, I don’t spend much (any) time reading Shakespeare. I’m not filling weekends with sonnets or amusing myself with the Bard’s wittier plays. My Shakespearean experience is largely confined to school days; performances of A Midsummer Nights Dream in Melbourne’s Royal Botanical Gardens; and a few months during my childhood when we lived in a small town near Stratford-upon-Avon. So why was I drawn to a modern retelling of The Winter’s Tale? It was all about Jeanette Winterson, whose work I greatly admire. Last night I had the great pleasure of hearing authors Chad Harbach and Jeanette Winterson speak as part of The Wheeler Centre winter program. The story of Harbach’s debut novel, The Art of Fielding, is one of those publishing fairy tales – it took him ten years to write and when he was finally ready to show it, the book was rejected by all except one agent. According to Harbach, it seemed that the themes of the book, baseball and homosexuality, “…kind of cancelled each other out in terms of ‘audience appeal'”. 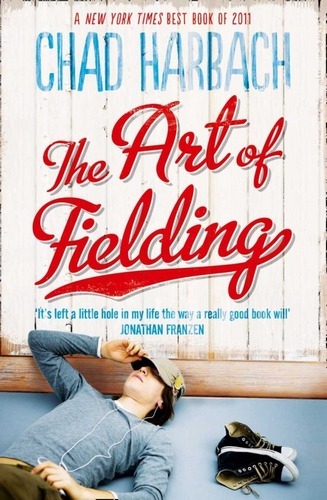 Fortunately, publishers saw The Art of Fielding differently and the book was the centre of a fierce bidding war – it sold for $665,000 in what Vanity Fair called ‘the biggest fiction auction in recent memory’. The first thing that grabbed me in Jeanette Winterson’s memoir, Why Be Happy When You Could Be Normal? was the part of her story devoted to books and reading. I’m always interested in hearing authors talk about their reading and writing habits. And before I knew, I was completely swept up in her search for her biological mother and a ‘home’.